Updated February 12, 2019: University of Washington spinout Membrion announced a new grant by the U.S. Department of Energy has raised their fundraising totals for its latest round to $3.15 million. This will be a holiday season to remember for University of Washington spinout Membrion. In December, the startup announced the completion of a $2.23 million oversubscribed Series Seed round while adding additional investors to an already strong crop from the Northwest. 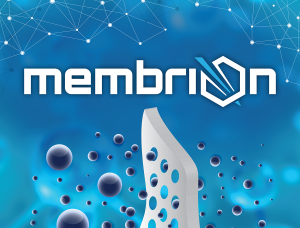 Membrion is now on the path to enter the commercial market with its molecular filter technology in 2019. The startup aims to disrupt the energy storage and water filtration markets with its innovative use of silica—the low-cost, non-toxic material you would find in a small packet at the bottom of a beef jerky pouch. The technology helped the team win the grand prize at the 2017 UW Business Plan Competition, complete the Jones + Foster Accelerator, and earn support from UW CoMotion (and the Amazon Catalyst program), the Murdock Charitable Trust, and others. This round of investment includes Northwest angel groups E8 and the E8 fund, Bellingham Angel Investors, as well as investment from Sierra Angels out of Nevada, Sand Hill Angels from Silicon Valley, and $748k in grants from the National Science Foundation. Membrion has now raised $4+ million in total funding (updated as of February 2019) over the last two-and-a-half years. We spoke with CTO Dr. Greg Newbloom (PhD in Chemical Engineering ’14), who founded the company in 2016 based on technology he developed alongside Professor Lilo Pozzo in the College of Engineering. What does this seed round tell you about how investors see Membrion? I think the variety of different investors is a testament to what we’re doing and the potential we have. It’s also validating to have someone who is outside of the team see the same opportunity that we see. It took us awhile to find the right investors who have the right risk profile and who really understand how to take a materials technology to market. Having John on board has made a huge difference. A lot of people believe in my ability to take the technology forward and do the development and scale up. But as a young entrepreneur, it has been great being able to watch John handle financing, the staff, and make decisions on when to put on the gas and when to hit the brakes. Those are things that aren’t intuitive until you’ve done them. John adds a lot of credibility to the team. How does it feel to be done with fundraising for this round? Fundraising is incredibly stressful and it’s probably the most difficult part of running a startup. I’m excited to unplug and soak in that we hit this milestone before punching the gas again after the holidays. We now have the capital to execute our plans and that is really exciting. This puts you on the path for commercialization in 2019? Our technology looks really good and we have plans to get it where we need to enter the market next year. Now it’s just a matter of checking the boxes as quickly as we can. There’s a lot of work ahead for sure but I am excited. Can you believe it was less than three years ago that you were at the University of Washington launching this thing? Sometimes it is a little surreal that we have made it this far. Looking back at the beginning, even when we invented the technology, it started out as something that was academically interesting. To see that escalate and take hold as quickly as it did, there’s still a level of disbelief. I am so thankful for the support we have received to this point. This is awesome! Both from the fundraising perspective and that John has joined as CEO. It’s been so great to see the growth of energy and environmental startups coming out of UW.